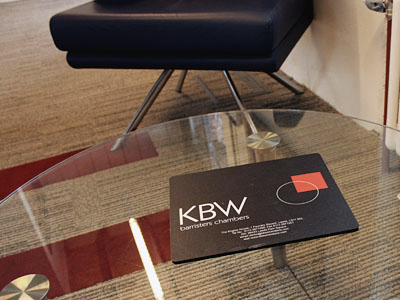 As from 31st January 2013, KBW Chambers has operated under the Bar’s ‘new’ standard contractual terms as required by amendments to the Barristers’ Code of Conduct. These new terms apply to privately funded work only received after this date. It does not apply to publically funded work, CFA’s or bespoke written agreements entered into prior to this date. A copy of the new terms of service is available in PDF format by following the link below.